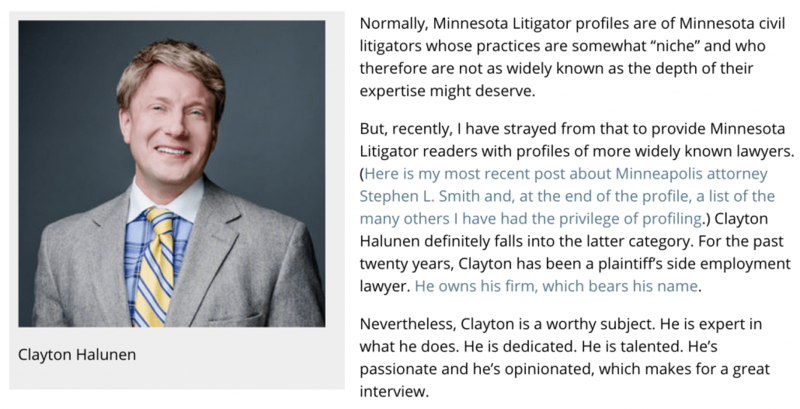 Our founder Clayton Halunen was recently profiled by the esteemed Minnesota Litigator. It’s a must read for anyone who already knows Clayton or simply wants to get to know him better. Here’s a sneak peak, click the image below to read the full article by Seth Leventhal.